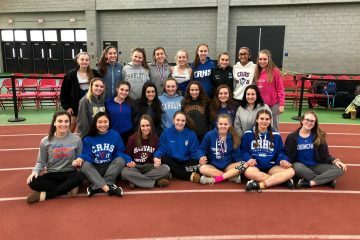 The Coginchaug Softball team grabbed hold of the five seed in this weeks upcoming Shoreline Tournament. 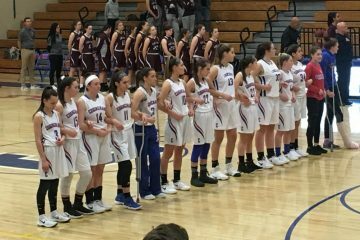 After falling short in last years championship game by a score of 16-8 to North Branford, the girls are seeking redemption and hope to return to the title match. The Coginchaug softball team got off to a slow 2-3 record to start the season. After losing four-year pitcher Gabby Diaz, the girls were a little lost on how to manage without her. 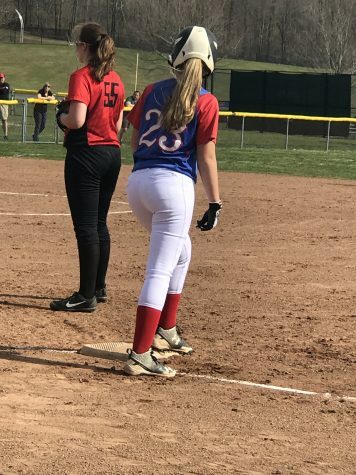 Luckily for the Devils, junior pitcher Carly Lane and freshman pitcher Taylor McDermott have stepped up and given the Lady Blue Devils another weapon to use in each game. Although it hasn’t been the perfect season, the Devils proved themselves to be a much stronger and tougher team since the start to their season. The Devils currently sit at 11-9 after defeating their final opponent, New Canaan, on Tuesday, May 23, to close out the regular season. Contrary to popular belief, it was not North Branford, last year’s Shoreline Champion, who led the way for the conference this regular season. Hale Ray was the most dominant team in the conference with an impressive 15-1 Shoreline record. Unlike most seasons where there are usually one to two dominant teams in the softball bracket, this year there are six teams (Hale Ray, North Branford, Haddam-Killingworth, East Hampton, Coginchaug and Valley Regional) each competitively vying for another Shoreline Championship match. 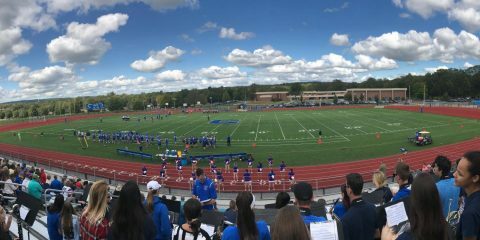 Looking at how the number five Devils’ postseason will play out, they first play the number four East Hampton who the Devils narrowly edged 4-3 at the start of the season. 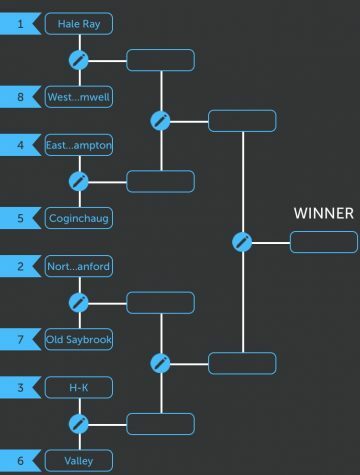 Following this, they will play the winner of Hale Ray vs. Cromwell/Westbrook (Play in game for the final eight seed). If the Devils can defeat East Hampton once again, they show significant potential to defeat their probable next opponent, Hale Ray, and hopefully are able to return to the Shoreline Championship once again.